If you love Stargate, Chevron 7.9 is a convention right up your street (well actually it's at Heathrow). 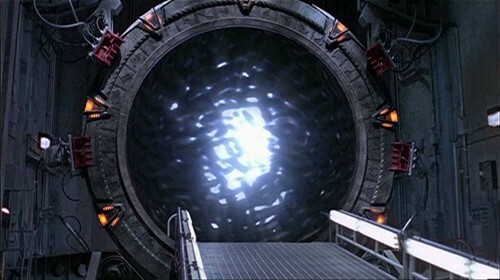 A massive three-day event held between the 2nd-4th November, it is a chance to immerse yourself in the Stargate universe. There will be guests from all three series: SG-1, Atlantis, and Universe. They will be doing signings, talks, photoshoots,and for the lucky raffle ticket winners, you will be able to have a 45 minute private chat with one of them. If you don't fancy your chances in the raffle, you can always bid for an encounter in the auction too. The event will take place at The Radisson Edwardian Hotel next to Heathrow airport. Single rooms are £70, and doubles being £88. The hotel has a bar, two restaurants, and a health spa, so it is a perfect weekend get away. The guests so far include Michael Shanks, Bill Dow, and Patrick Gilmore. Shanks played Doctor Daniel Jackson over the the three series of Stargate; he has also made appearances in several other popular TV shows such as Andromeda, Sanctuary, and Smallville. Dow played the geeky, yet oh so loveable Doctor Bill Lee, having appeared in 29 episodes across the franchise. Dow has also had recurring roles in The X-Files and Supernatural. Gilmore is probably most well known for the recent horror film, Cabin in The Woods. Other roles include guest appearances in Battlestar Galactica, Fringe, and Eureka, but he as also made guest appearances in each Stargate series, as three different characters. At the event you can join in with quizzes, shop the dealer stalls, and attend some of the many parties on offer: an exclusive cocktail party, two themed parties, the opening an closing ceremonies, plus a chill out party on Friday night that will bring the experience to an end. a souvenir programme, surprise gifts, access to all the talks and parties, 1 free autograph for up to six guests, and a photo of each guest. Children under seven go free, while tickets for 7-10 year olds are £29. You can also buy a silver, gold, or VIP programme, but they are limited.